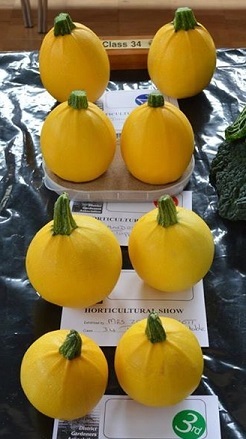 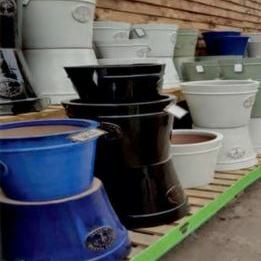 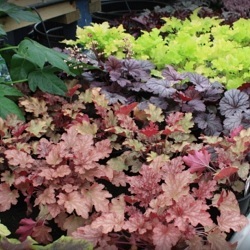 Get your seeds from Tapps Garden Centre, grow them and show the resulting produce in class 34 at the 2015 Summer Show. 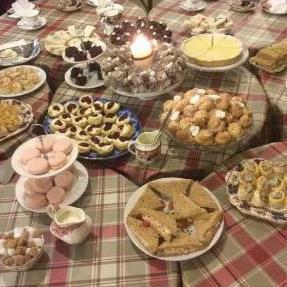 The Tapps Trophy is awarded to the winner. 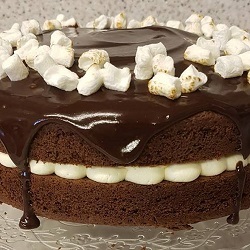 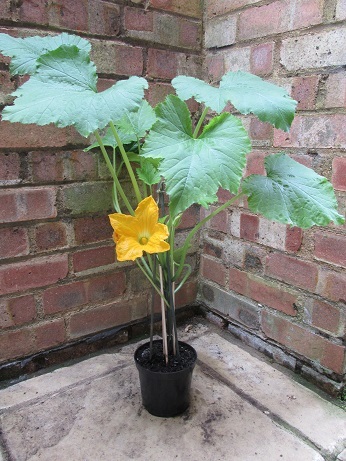 Take a look at how one of our challengers got on. 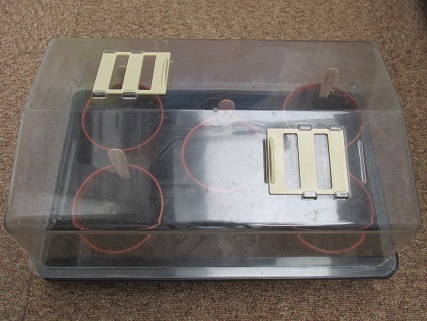 16/5/15 – ‘Let us out’ Nearly time to take them outside. 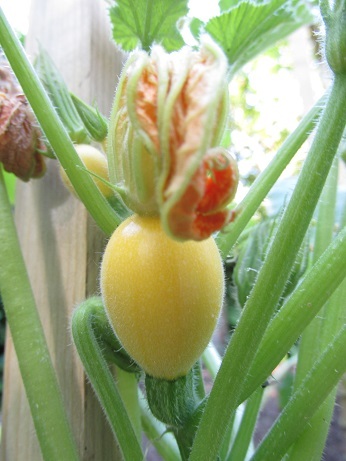 19/5/15 – …to a sheltered spot for hardening off. 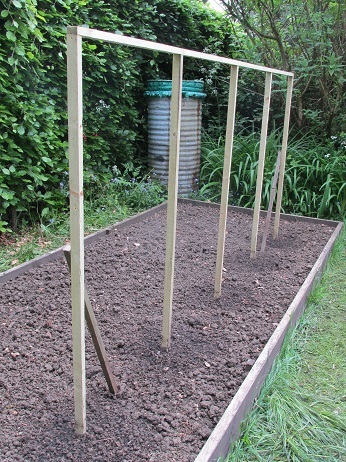 20/5/15 – I think I’ll try growing them vertically. 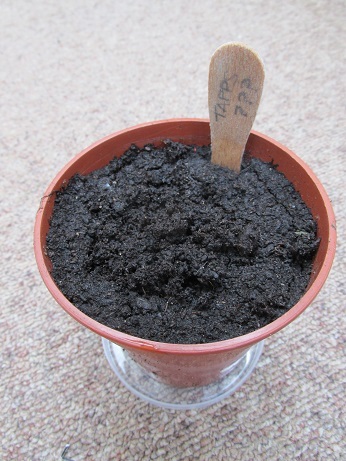 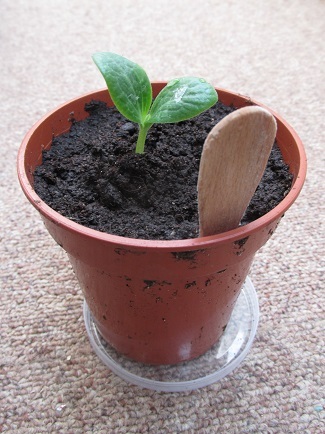 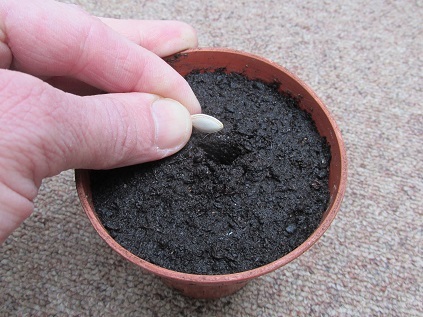 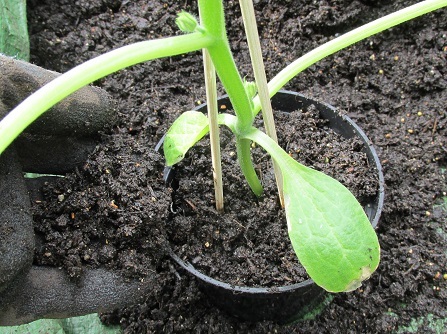 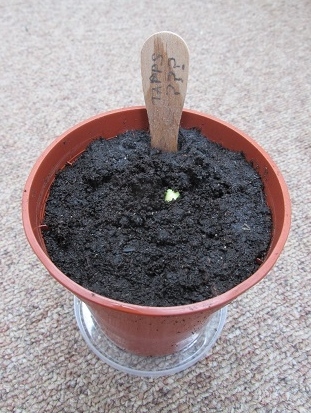 22/5/15 – First one carefully in, roots have filled the pot again. 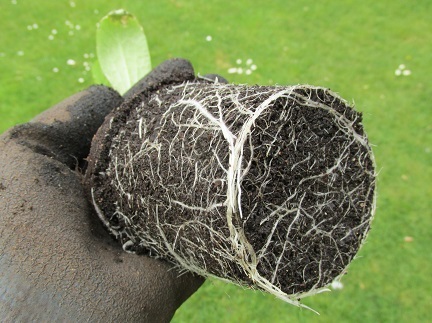 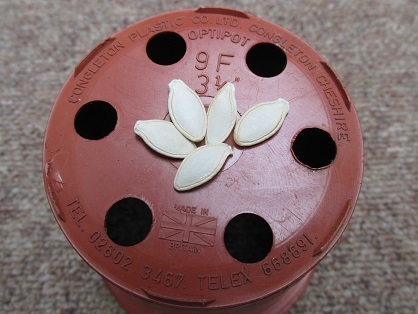 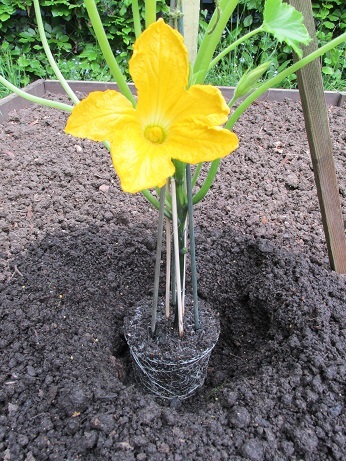 22/5/15 – Hole back-filled and plant tied in with soft ties. 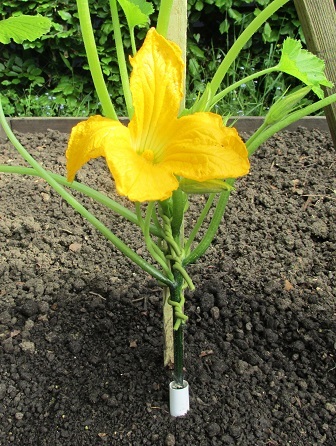 22/5/15 – A protective collar added to stop anything chewing the stem. 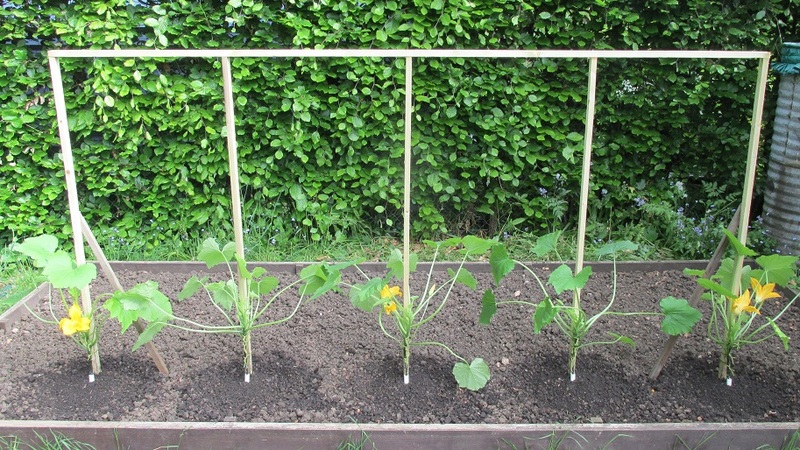 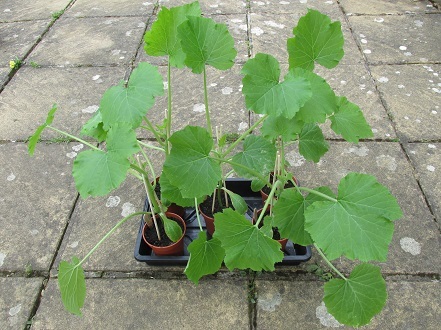 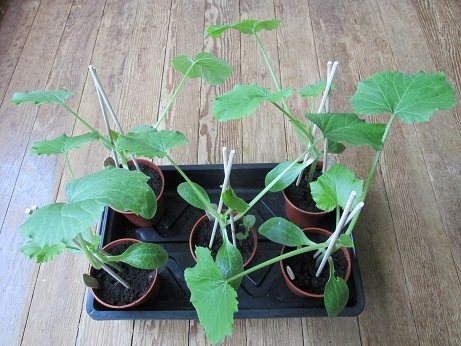 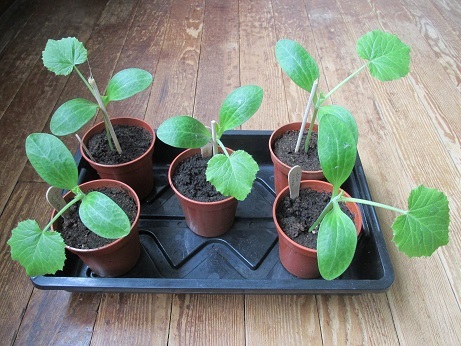 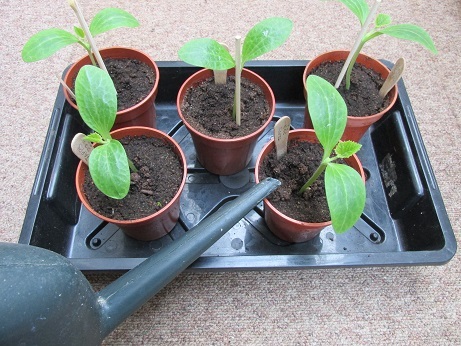 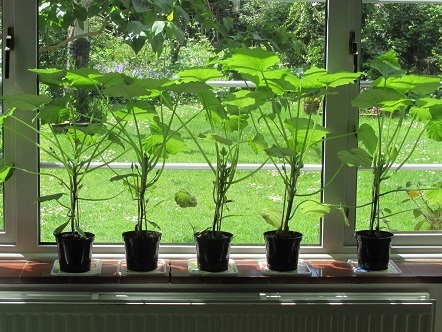 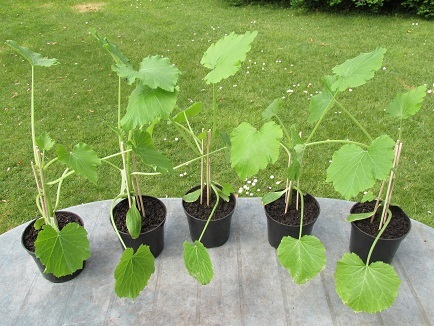 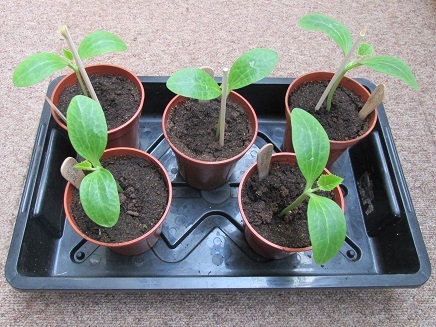 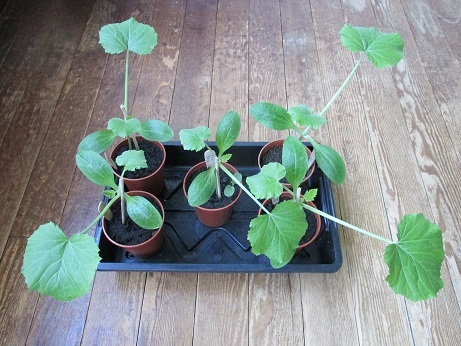 22/5/15 – All 5 planted out, 7 weeks since sowing. 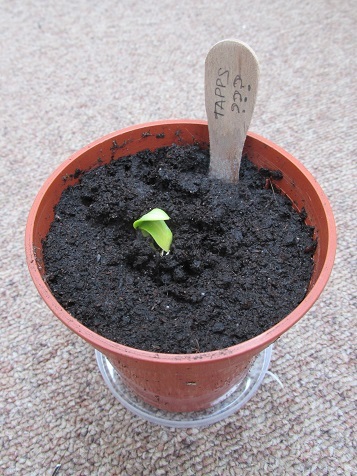 6/6/15 – … and now slightly bigger. 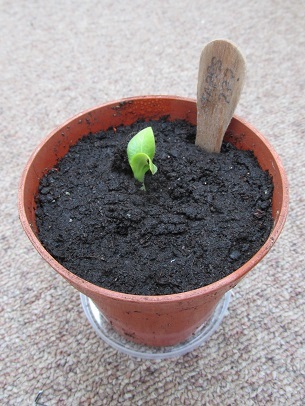 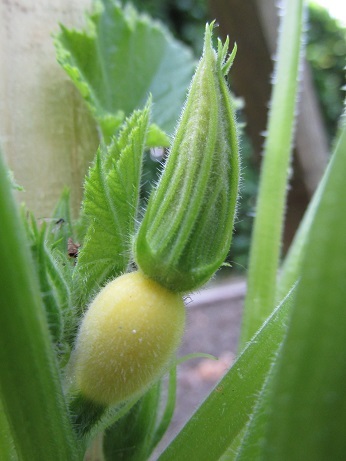 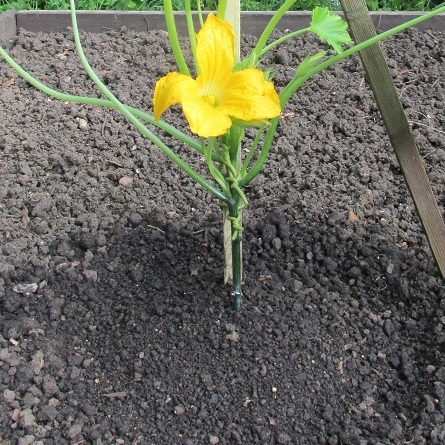 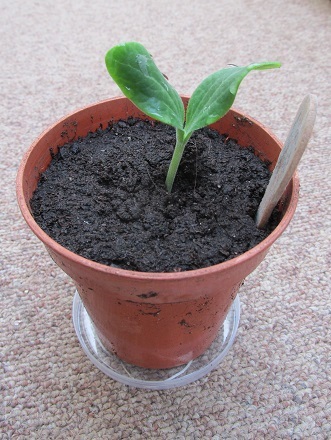 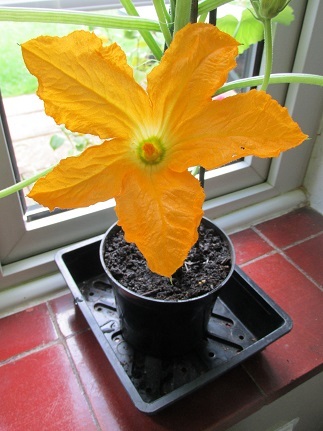 21/6/15 – Now a fully grown spherical courgette. 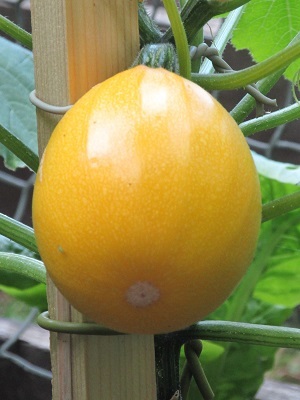 28/6/15 – Not a bad show entry – 3 weeks early though. 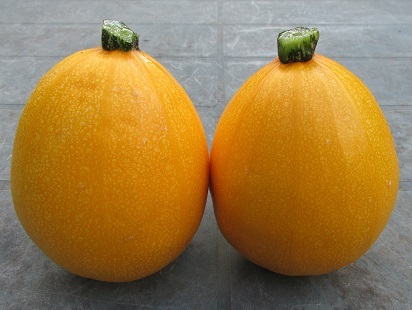 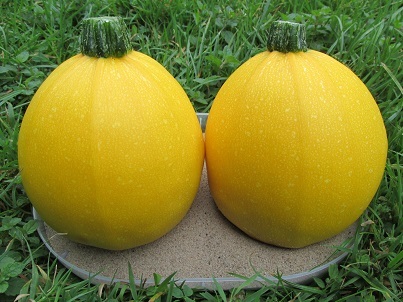 18/7/15 – Show day – another nicely matched pair ready to go. 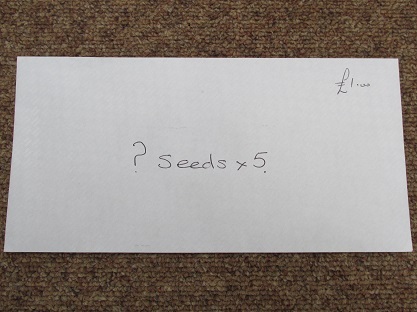 18/7/15 – 4 entries to the mystery seed challenge, after judging. 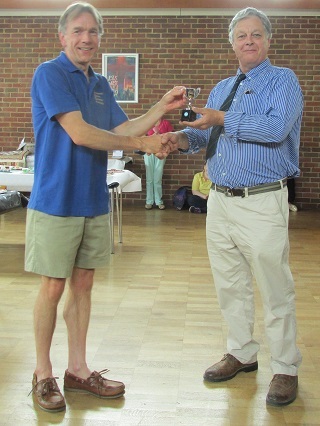 18/7/15 – Andrew receiving the Tapps Trophy from the man himself. 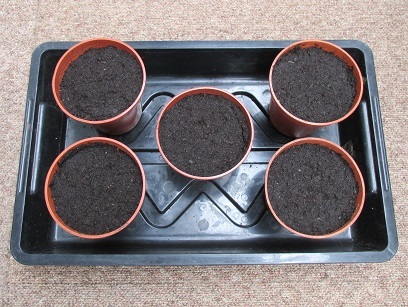 original packet of 5 seeds. 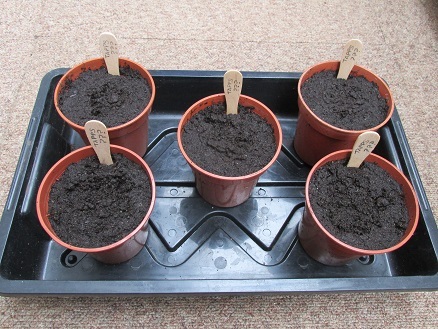 Watch out for next years Tapps Trophy challenge.